Nintendo takes a hard stance on piracy, using cartridge-based games for its systems way past their use-by-date. Whilst more difficult to produce illegal copies of their intellectual products, it also imposes a certain limit to how much data the console had access to. With the upcoming 3DS, Nintendo is well aware of the modern age with its p2p mentality and holds its 'security cards' close to its chest. We fear a kind of thinking is become widespread that paying for software is meaningless... We have a strong sense of crisis about this problem. The 3DS is planned for release before the end of the fiscal year ending March 2011 and will feature 3D visuals without the need of additional accessories that can be turned off. The company plans to show off the latest system in its handheld line next month at E3 2010. Yeah well as long as they don't punish legitimate customers with crippling DRS then I don't mind. I don't want any of this Final Fight Double Impact nonsense cropping up on a Nintendo machine. If there's a will, there's a way. Piraters will eventually figure out the security behind it, Iwata. Hopefully they will offer a decent downloading service, so there won't be any reason for playing pirated digital games to begin with! The original DS was easily pirated because there were no firmware updates for it. Things got a little bit trickier when DSi was released as you had to buy new cards occasionally to make it compatible with newer firmware. I wonder what Nintendo will think up next. Sadly there's little pirates haven't cracked yet. Most don't have much of a life, remember. @2: Was about to say...its gonna get pirated at some point, why even bother? XD I still prefer the original over emulation/pirated stuff anyways. Ha, ha! Take that, pirates! Score one for ninjas! @Skrubber: That is not the point behind the pirates. They are illegally playing full DS titles that they did not pay for. Having a decent downloading service will not change that. I do think paying for software is meaningless in this day and age. Give us the games for free and make money through advertising or something. Now that would be sweet. I would blame a lack of European sales more on a lack of good titles here. Only some games make it out of Japan to N-America, and only some of those make it over to Europe. We have to import N-American games (and Japanese ones if you understand the language). If game companies make it that hard for gamers to get their fix legally, it's no surprise that some resort to illegal copies that can be downloaded without shipping costs and delays. Considering that any and all security measures get defeated sooner rather than later (seriously, even mentioning them is like saying 'I dare you to crack it'), the only way to counter piracy is to make it easier for people to obtain legal copies. Nintendo would better invest in speedy and convenient distribution infrastructure than in useless anti-piracy measures. The main problem I'm concerned with about the 3DS is if company's will make any games for it. I'm thankful that Nintendo decided to make the whole "3D" part of the 3DS is optional, but now this anti-piracy thing might make it hard for developers to work around the system's anti-pirate methods instead of focusing on making a good game. Kirk, thats really selfish of you. And HOW IN THE WORLD is Nintendo supposed to make money by advertising?? Advertising is the most expensive part!! I don't keep tabs on these types of things. But if it's anything like the movies then perhaps Nintendo needs to make each game cart have a unique serial number embedded in it and also make each gamer activate the game cart. This way they can track who is distributing the roms. I know that the movies still have not stopped pirates from distributing movies but do wonder if these markers do help track down the source. Nintendo's security has been pretty shoddy lately with the Wii and DS... hopefully that changes with the 3DS. I couldn't disagree more. the way I see it, me paying for a piece of software is my way of thanking and rewarding the developer for their efforts. If they haven't made the effort, I don't buy their game, and they don't get my money, simple as. If too many people pirate the games, then the developers are going to lose the incentive to work. The only times I (rarely) play emulated games is if they're particularly old games which the developer wouldn't get any money for, or games I already own, and even those games are from old, outdated systems. You guys make me laugh.I bet 50% of you making these comments pirate their games.If you are able to play emulated games then you's must have the cards in the first place and your telling me that if a new game comes out and you don't have the money to pay for it,you's wont download it? "your telling me that if a new game comes out and you don't have the money to pay for it,you's wont download it?" Yes, that's what I'm telling you. I don't NEED video games. If I can't afford it at the time I shrug, move along and pick it up when I have some spare cash if I'm really interested. I pay for my games. Every single one. I may buy many of them used, which doesn't directly profit the creators, but I cannot condone piracy in any form, even emulation, although that's a different story. The lengths people go to get their games pirated. I meant to say "if a new game comes out that you really want and you don't have the money to pay for it",not that it makes much difference. @Dragoon,what lengths are they?Go online 2 minutes and hey presto! I hope this doesn't mean no transfer of DSiWare, because it would leave the system "too vulnerable." That would hurt, because the DSi hasn't been out that long. It's mostly early adopters and upgraders that have it still, everyone else just kept their lite. The people who would buy the 3DS at launch probably have a fair amount of DSiWare. No trade in possibility -> fewer people buying 3DS right away -> 3DS could look like a flop. I would love it if the 3DS would have the games come with a digital copy like newer movies. I love how portable DSiWare is and hate to bring a lot of game carts with me to end up with the possibility of loosing some. I also agree Token Girl that the DSiWare should be transferable. But to that same degree why cant we mail in all of our original games in exchange for their virtual console counterpart? I hate buying some of my all time favorite games either as a complication disc or as a digital virtual console title. It would be nice if Nintendo would keep a log every title we ever owned on their systems (including 3rd party games) and give us a transferable licence from system to system to play the game. It would also be nice if they would include a movie player in one of there portables and make an agreement with the movie studios to include a digital copy for the system. Nintendo is now seeing Apple as a competitor and they do get a digital copy of movies. To tell you the truth if Apple would make something that was not just touch screen/accelerometer based (had buttons) I would consider it for my portable system. @Kirk and anyone who supports piracy: dude, WTF? That's like saying writers and publishers don't deserve our money for books or that no one in entertainment has a right to being paid for hard work. I am staunchly against Wii and DS piracy and despise people who think they are entitled to stuff for free. Let me share an anecdote: when Metroid Fusion was about to hit, I downloaded the leaked ROM a few weeks early and played a few minutes...before deleting it and waiting for the GBA cart. It made me sick, and to this day I would never steal a game released for a console still turning profits. 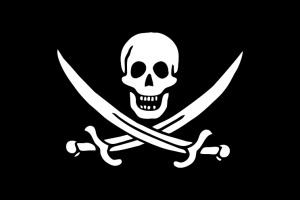 I feel saddened at how many people I see posting on articles and sites about how awesome they think piracy is and I feel violated. So I hope they employ stricter measures. Too bad for Guybrush Threepwood, Mighty Pirate™ and Ryan Doumit of the Pittsburgh Pirates. When it comes to backwards compatibility, the 3DS has been confirmed to have support for DS games so that isn't a problem. I don't have a problem paying for one copy of an older game I already had as digital download. You probably made about as much money or will make about as much money if you sell the hard copy of the game. However, I can't sell the DSiWare to make back the money needed to rebuy the game on the 3DS. I might get a little extra for the games if I sell it on ebay but probably not enough to make up the price for rebuying and downloading, since I can't sell them seperately. When Sony and Apple both offer reasonable and secure methods to transfer downloads to new consoles, I can't see why Nintendo can't do that too. 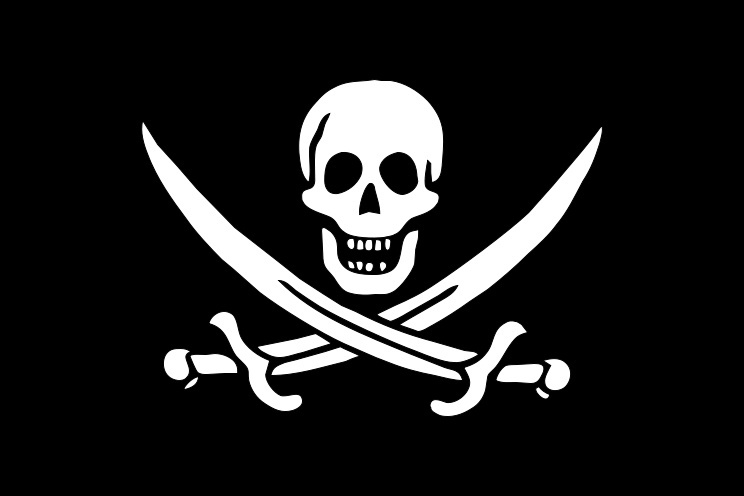 Digital distribution is the first step to tackling piracy. No matter how easy it is to legally obtain software, piracy will always exist in @ least 1 form, &/or another. However, combating piracy is best done, as Kimiko said, "...make it easier for people to obtain legal copies." DSiware is great. There is no excuse, so shut up about it. des anyone know the exact date of E3?